STONEVILLE, Miss. 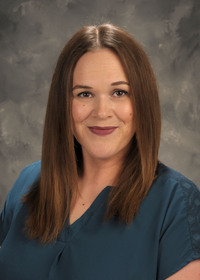 -- Kelli Whitten recently joined the Mississippi State University Extension Service Office of Nutrition Education as a regional registered dietitian for the Delta. She will help in the fight against obesity and chronic disease in Mississippi. 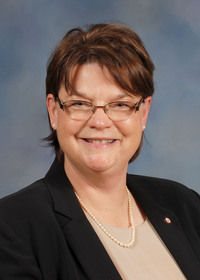 Whitten will oversee the Extension Supplemental Nutrition Assistance Program Education, or SNAP-Ed, curriculum and delivery in the Mississippi Delta. She will work with SNAP-Ed nutrition educators in Extension county offices to help coordinate efforts to teach limited-resource families ways to improve their diets, increase physical activity and manage their food resources. Nutrition educators deliver direct instruction in communities and schools. Current SNAP-Ed programs include Cooking Matters, a hands-on cooking and nutrition series used in communities; Smarter Lunchrooms, a program designed to encourage children to make healthier choices in school cafeterias; and implementation of school and community gardens. Whitten is based at the MSU Delta Research and Extension Center in Stoneville. She earned a bachelor’s degree in dietetics from Delta State University. Contact the MSU Extension Office of Nutrition Education at 662-325-1340 or Whitten at knl32@msstate.edufor more information on nutrition programs.